“Incognito,” a production put on by City College’s Theatre Department and directed by John Wilk, is a play about Albert Einstein’s brain, the true story of the man who stole it, and the things in our brains that may or may not form our identities as people. It opened March 1 and will run for two weekends at the Diego Rivera Theater. “Every now and then, a play pops out and looks like a play that a lot of people could do all sorts of interesting work in,” Director John Wilk said. He liked “Incognito” written by Nick Payne because the recurring theme of memory loss resonated with him, and because the play felt modern, but “grounded” since it is based on real events and people. When Einstein died in 1955, pathologist Dr. Thomas Harvey stole his brain. He kept it for decades, despite the effect this transgression had on his family and his career. This story is interwoven with those of patients suffering severe memory loss and the researchers and loved ones who try to care for them. Wilk gave his cast books and encouraged them to research to prepare for their roles, inspiring cast members to seek out articles and documentaries. “When you do a real person, you have a responsibility. This is someone’s life.” Robert Ayala, who plays the role of Dr. Thomas Harvey, explained. Although the play is based on real events and the lives of real people, the stories are interwoven together in ways that jump time and location, creating an almost dream-like atmosphere. The play opens with modern dance interpretation of how neurons interact in the brain that was choreographed by actress Mai Vang, who also plays the role of Evelyn Einstein. 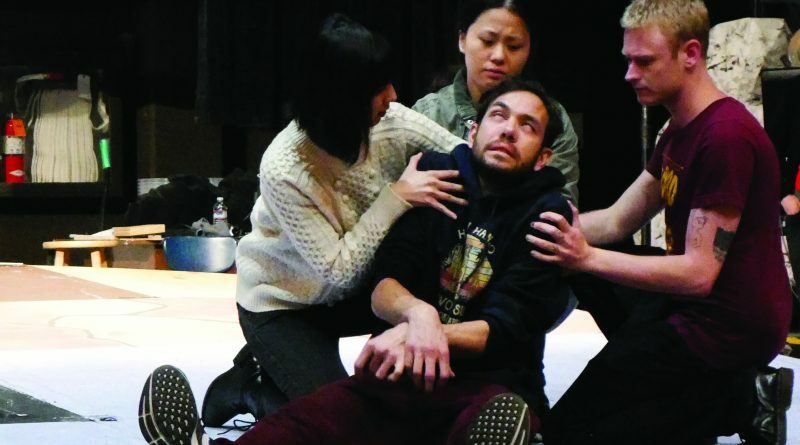 “We [the actors] all really rely on each other because we do have ensemble movements of just doing movements or dancing or making sure that we’re there for the other actors,” Vang said. For a number of the cast members, the play was interesting because of the questions it brings up about consciousness, memory and identity. “There’s emphasis on the brain in different parts and obviously just the physical taking of the brain, but also the effects of the brain in some of the other stories,” actor Jake Gleason, who plays Henry a man whose memory loss forces him to live in the moment, said. “I think [the play] does a good job of being heady but not too in your face about it, and also not at the cost of real complex characters that also have very not heady things going on,” Potter said. “Are you still you if you can’t remember things that you’ve done?” Yung mused. “Are you really you? You can’t make new memories. You can’t remember your old ones. What makes you ‘you’?” This play asks these questions and more. 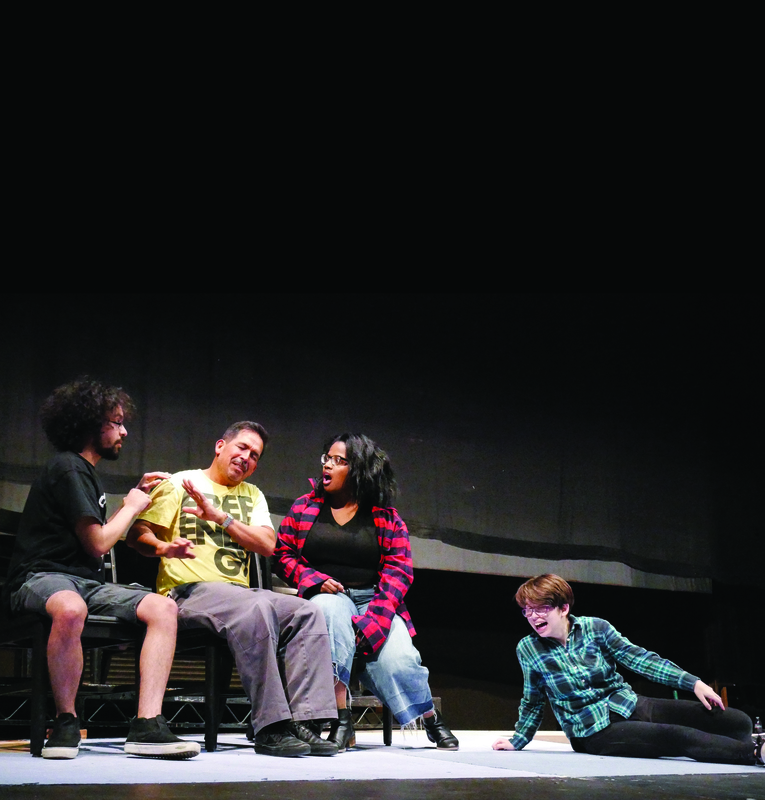 The play will be shown March 1-3 and March 8-10 at the Diego Rivera Theater. Friday and Saturday performances begin at 7:30 p.m. and Sunday performances begin at 2 p.m.